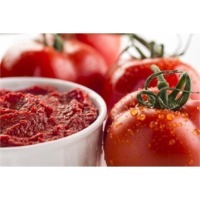 Browse tomato-paste-purees suppliers by country and region. Product Descriptions : Tomato Paste etc. 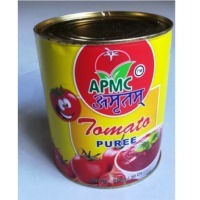 Tomato paste in different brix available Pack Size IN 70 GMS, 200 GMS, 400GMS, 800GMS, 2200 GMS. Available In Pouch And Tins And Big Drums. Tomato Concentrate 40% Upto 99%. Colour Bright Red And Dark Red. Pinaple pulp, mango pulp, tomato pulp, tomato sauce, tomato ketchup. Short on time? Let tomato-paste-purees sellers contact you. Instant fatfilled milk powder with vegetable fat, baby milk powder full cream milk powder, instant full cream milk powder, skimmed milk powder, vegetable cooking oil, tomato paste or concentrate, pasta, instant dried yeast. Used rails, HMS 1&2, sugar (brazil & thailand), 100% rbd sunflower oil, rbd palm olein cp6, cp8 & cp10 (edible vegetable oil), tomato paste, canned sardines, canned tuna and long & short shapes pasta.Consulting Services in Dubai. Natural fruit purees, concentrates, tropical fruit purees and concentrates, alphonso mango puree, totapuri mango puree, totapuri mango concentrate, pink guava puree, white guava puree and concentrate, tomato paste, red papaya puree or concentrate. Auto fryer, snacks processing line, juice pulp processing line, salt processing line, dairy line, ginger and garlic paste, powder, fried onion, tomato paste, himalayan pink salt,, salt lamps, animal lick salt stone, salt tiles, pakistani long grain white rice 5% broken. 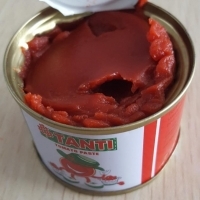 Tomato paste, peeled and chopped tomatoes, passata and legumes. Canned tuna, sardine canned salmon, canned mackerel, canned tomato paste, red-bull. Green coffee beans both arabica and robusta a grade, tamarind concentrate, tomato paste, lime concentrate, terracotta products, ladies fancy nighty, socks, T-shirts, jute bags, cotton bags, non-woven bags, promotional pens, candy amla. Tomato paste, chili paste and carrot puree.